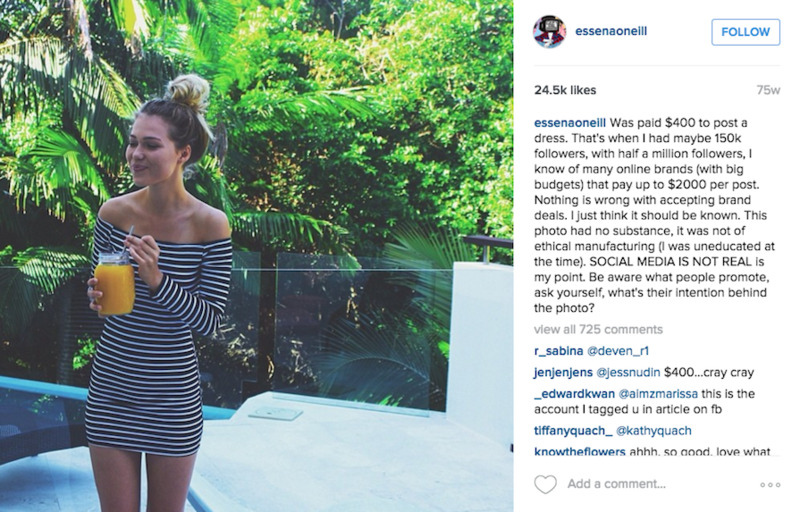 Essena O'Neill had a picture perfect life. Young, fit, and well-traveled—she had over 800,000 followers on Instagram and a lucrative career as a social media model. Then on November 2, at the height of her fame, she blew that reality to bits. In a YouTube video viewed over one million times in 24 hours, O’Neill tearfully explained that while she had enjoyed a “perfect life” she was depressed because it had no purpose. In one grand gesture she deleted both her YouTube channel and Instagram account, and declared that "Social media, especially how I used it, isn't real." O’Neill’s announcement swept across the world and was quickly covered in the New York Times. From support to spurn, countless bloggers, vloggers, and social media stars made their opinions known. 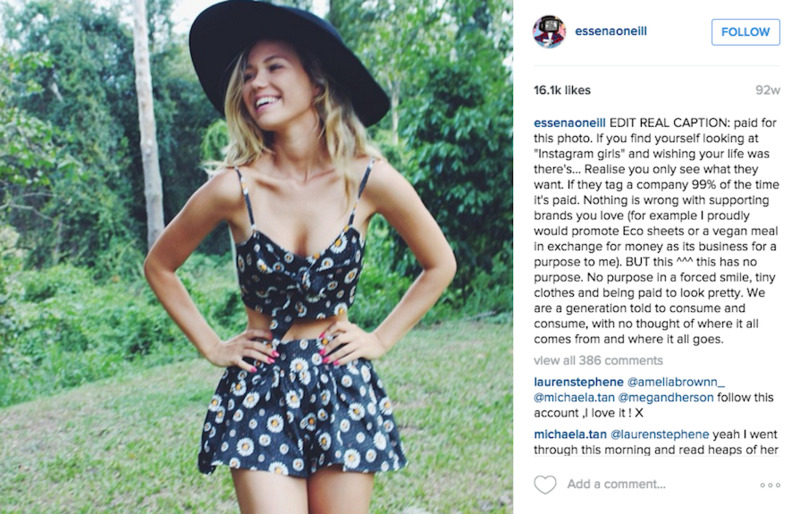 Why did one simple act of quitting social media take the world by storm? Perhaps because O’Neill gave viewers something rarely seen in social media today: genuine honesty. As a viewer who believes these realities to be true, the blurriness is more pronounced when influencer marketing gets involved. In this type of advertising, brands pay social media “influencers” on Instagram, Tumblr, and blogs to pose with their goods. When an influencer posts about these products on their personal accounts, they get paid. Rarely do they disclose to their audience that money is involved. These images are not of actors or supermodels, they are of people like you. The same age, the same education, and possibly even from the same hometown. But these real people are still selling something. They are selling a ‘life.’ A life and a lifestyle that you may want. There’s just enough reality in the picture to make this dream life seem attainable. You simply need to buy that bikini, or that trip to Fiji, or that gym membership. These images become an advertisement of someone’s real life, but it’s often all a fake. 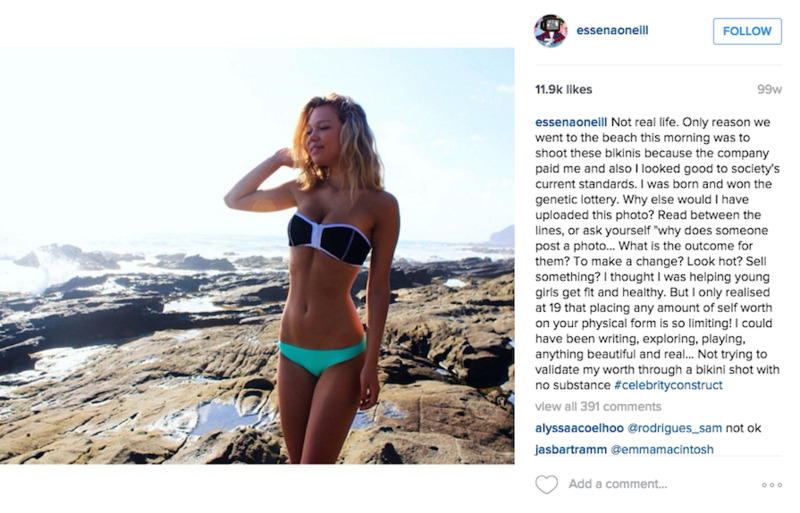 O’Neill isn't the first person to be honest about their social media life, but she might be the first who’s pulled a one-eighty so publicly. In puncturing the artificiality of social media, she’s brought the blurriness into focus. It is real, and at the same time, it’s fake. Perhaps we’ll now challenge the one-dimensional existence of our social media profiles. Expose the cracks in our lives. Celebrate the fact that life is both messy and beautiful and much more than a pretty picture.